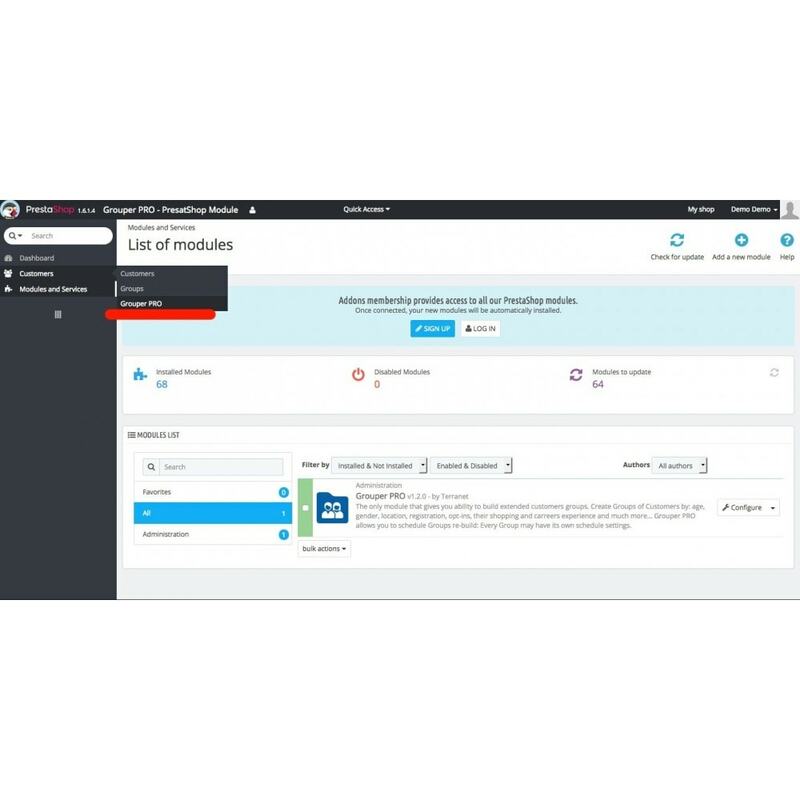 The first module that gives you a full control in managing your customers. We've breathed new life into the Customers Groups. 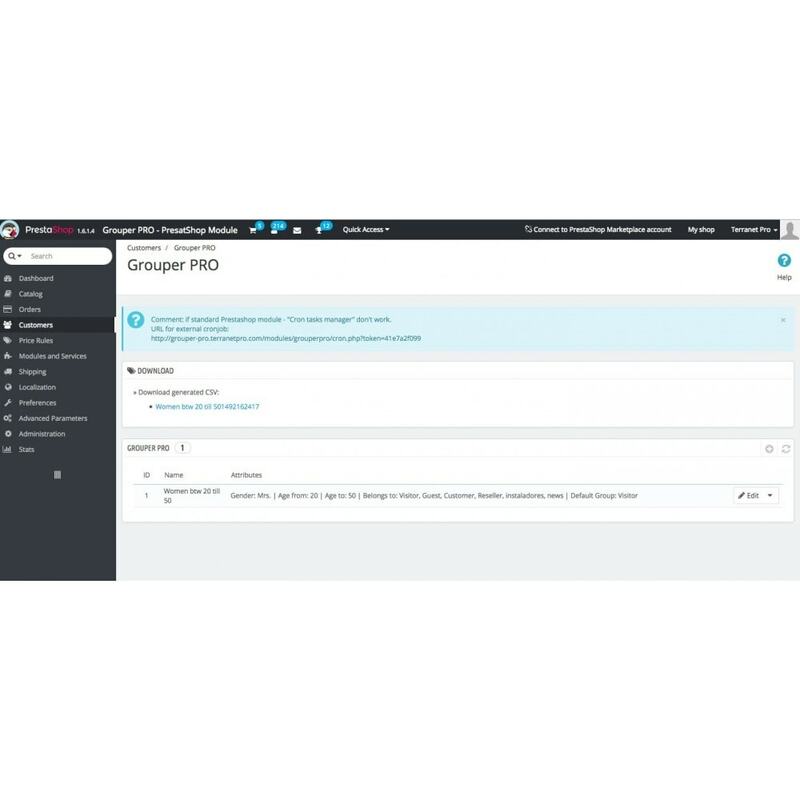 Grouper PRO helps you to manage Customers Groups that meet your business requirements. Improve the shopping experience of your customers by assigning them better prices, allowing them to access specific categories or products, and much more. Customers will like and appreciate such personalized service! 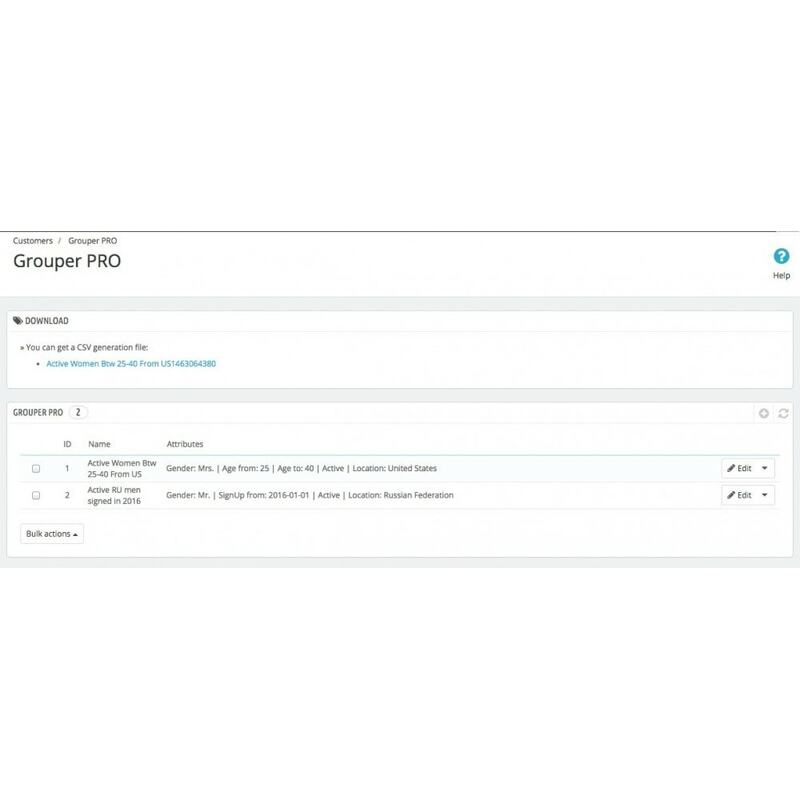 No more assigning customers in groups manually - Grouper PRO will manage them with a scheduled cron job. 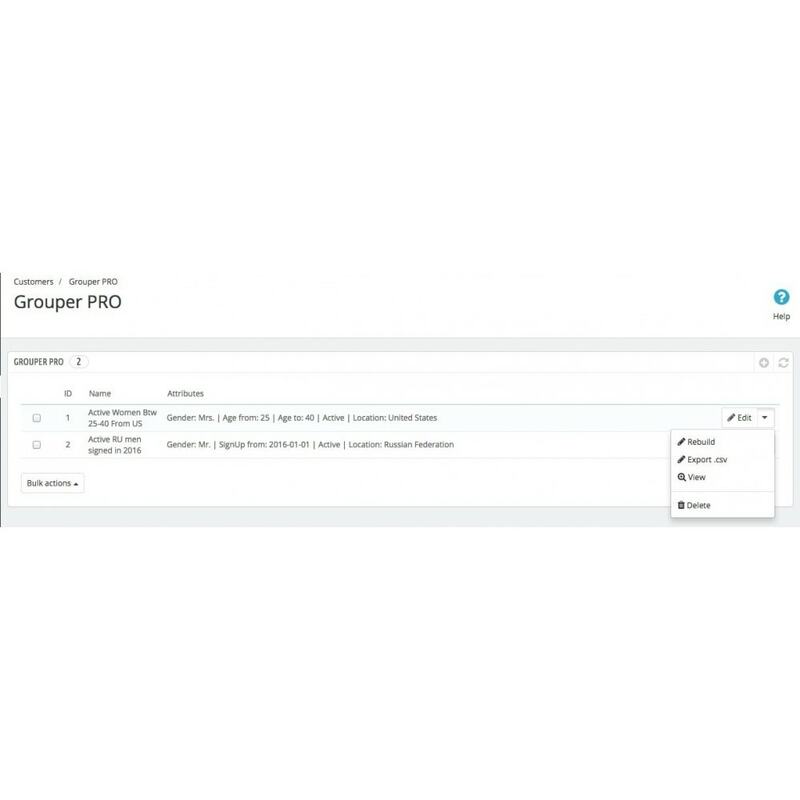 Export all the grouped customers into a CSV file for further tasks, like using a Mailchimp to make a bulk sendmail to a limited group of customers. options, shopping and shipping experience and other key features. customers) and all other things that you usually do with your customers! 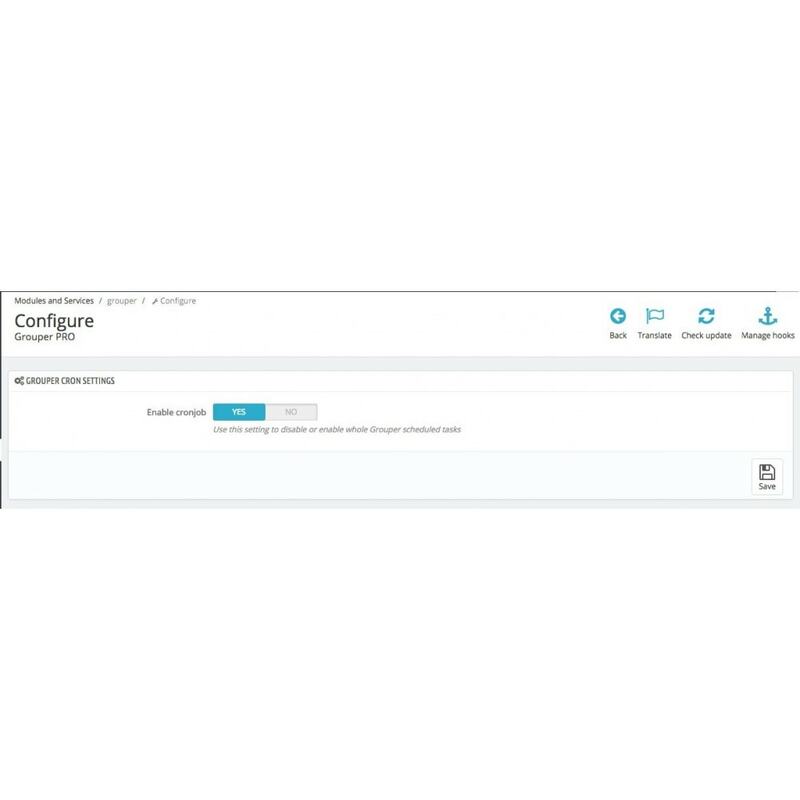 presence - just setup a cron task. 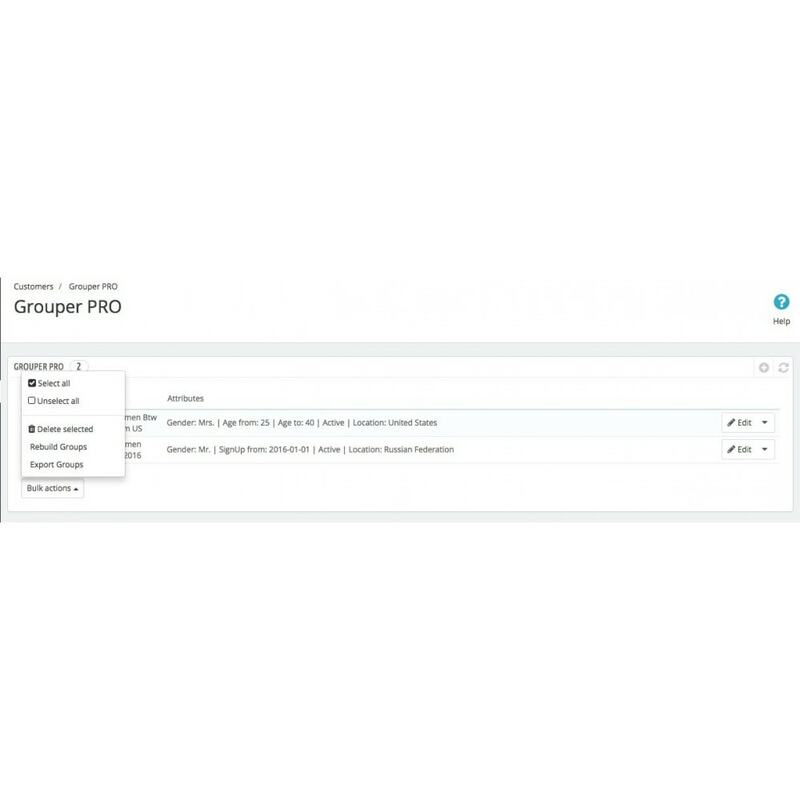 Export all grouped customers into a CSV file for further tasks. Crie tantos popups quanto pode imaginar: ao carregar a página, ao sair da sua loja ou quando adiciona um produto. Anuncie promoções, novidades, etc., e anuncie-o em qualquer página:em categorias, produtos... e segmentado por cliente. Customers like personalized services, pay them more attention, offer better prices and make awesome offers, show specific products and they will pay you back very quickly. Use "Cron tasks manager" for easier cron job arrangement. Regular installation. 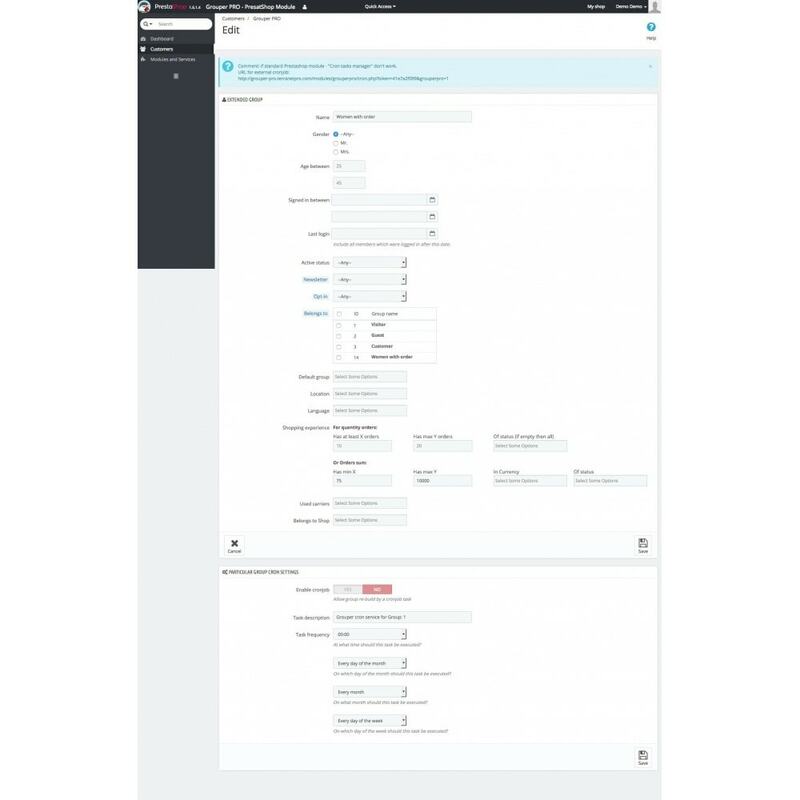 Optinally can be configured to work with "Cron tasks manager" by PrestaShop.